This application was uploaded as per request of Ko Aye Kyaw, hoping it should be helpful to the rest of visitors of Mgluaye's pages. Below is the description of the application. 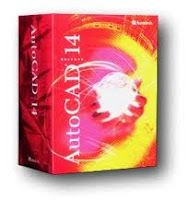 AutoCAD is a CAD software application for 2D and 3D design and publishing, developed and sold by Autodesk, Inc. Initially released in late 1982, AutoCAD was one of the first CAD programs to run on personal computers, and notably the IBM PC. Most CAD software at the time ran on graphics terminals connected to mainframe computers or mini-computers. In earlier releases, AutoCAD used primitive entities ”such as lines, polylines, circles, arcs, and text” as the foundation for more complex objects. Since the mid-1990s, AutoCAD has supported custom objects through its C++ API. Modern AutoCAD includes a full set of basic solid modeling and 3D tools, but lacks some of the more advanced capabilities of solid modeling applications. Hi Guys! Today is one of the great days again. The reason??? I found out one software what I wanted. Most of the time I went back homeland, I usually bring back all of my photos, software, etc with USB thumb drive, external hard drive, to be able to use for computer at my Rangoon home. Every time, I use my thumb drive, external HDD, most of the time, those USB devices were infected with viruses. When I reached back to abroad, I scanned those USB devices with Antivirus. Anti virus, malware, etc can be cleared with anti viruses. However, all of my data inside was hidden by those viruses. Today I found a tiny software that solved my problem, called USB Show. It is not a new software, but for me, it is new as of I found out this recently only.As usual, I would like to share you all too. It is a freeware, thus you can download it from its own web portal, for those who is having difficulties to access, you can download it from here too. Hope this tiny software help you guys to recover those precious data hidden by virus in your USB devices. This is an old song since our childhood days, but not this version. 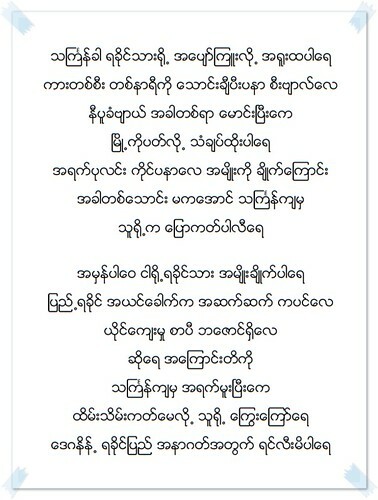 This version was the one renewed by today’s Arakanese singers. As far as I know about this song is that was extracted from the album called “Myak Wan Rake” only, and regret to say that I don’t even have info of the singer of this song too. The theme of the song is about the lovely nature of Arakanese young people who seldom shows up their patriotic spirits in normal conditions, but the time they got drunk, they are bluntly shown up as the highest patriotic people and called for perseverance of race and religion. Now, there will be Thung Gran @ Water festival of Arakan New Year in around mid of April, thus I would like to feature the following song about Arakanese Water festival. It's more and more look alike working in Singapore and Yangon. While I was working in Yangon, my office was at downtown of Yangon and if we need to find out some kind of spare parts or accessories, we need to go and look for in Bo Swun Pat Street, and on the Anaw Ra Hta road too. There are a lot of shops selling electronic spare parts around that area. At the corner of 28th Street and Anaw Ra Hta road, there are a lot of used electronic goods and spoilt devices good for usage of parts as spare parts replacement. In Singapore too, there is a mall called Sim Lim. 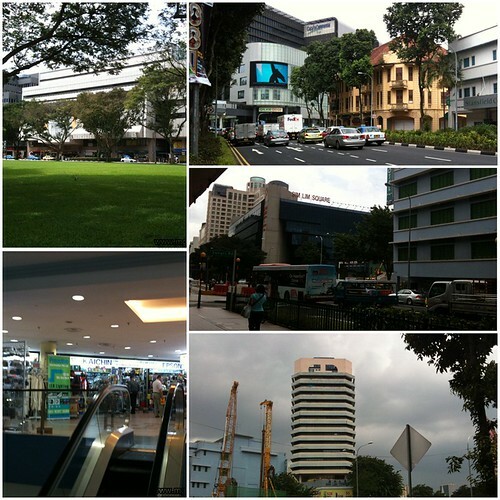 There are two different malls of same name Sim Lim. One is Sim Lim Square and the latter is Sim Lim Tower. Sim Lim Square is the mall selling electronic goods specilized on IT products, computers and accessories. Sim Lim Tower is the shopping mall selling more on electronic spare parts, parts for replacement. Yesterday, my team need to use a few materials to use for installation, I went there and bought what they need. Those photos are taken with my mobile, so may be in poor in quality. It's ok, I just want to put them as record only. Following software was shared upon request of Mornrazagree who is the usual visitor of Mgluaye's Pages. Toon Boom is the one of the animation software that you can create animation such as cartoon movie as well. Toon Boom Studio 4.5 is ideal for individuals looking for an all-in-one animation software. From drawing digitally, scanning hand-drawn animations or seamlessly importing existing artwork, Studio 4.5 enables you to lip sync your animation, setup the action in a 3D space and publish your animation projects for print, TV, HDTV, the Web, YouTube and iPod! Covering the entire animation workflow from sketching to final publishing, you will find Toon Boom Studio to be a great tool to create or learn animation.